As a homeowner, you’re probably no stranger to getting high utility bills in the mail every month. At Northwest Propane, we recommend propane water heaters over electric models to our clients all the time because of the many benefits associated with these types of water heaters. On average, propane heaters cost around one-third less than an electric water heater to operate. Compared with electric models, propane heaters are able to heat nearly twice as much water in a single hour. 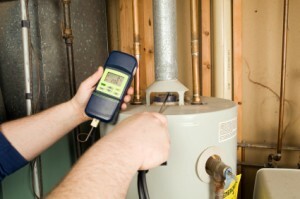 With a propane heater, homeowners can get more hot water from a smaller tank. This reduces the amount of energy that is required to store hot water. Propane water heaters are also extremely durable. This means that once you have a propane heater installed in your home, you may never notice that it’s there for several years because of their minimal maintenance requirements. If the water you use to wash dishes, do laundry, and take a shower is heated by an electric water heater, consider switching over to a propane model installed by a Dallas water heater expert. If you have any questions about how these heaters operate or additional benefits, contact us at Northwest Propane by calling 1-800-274-6121.